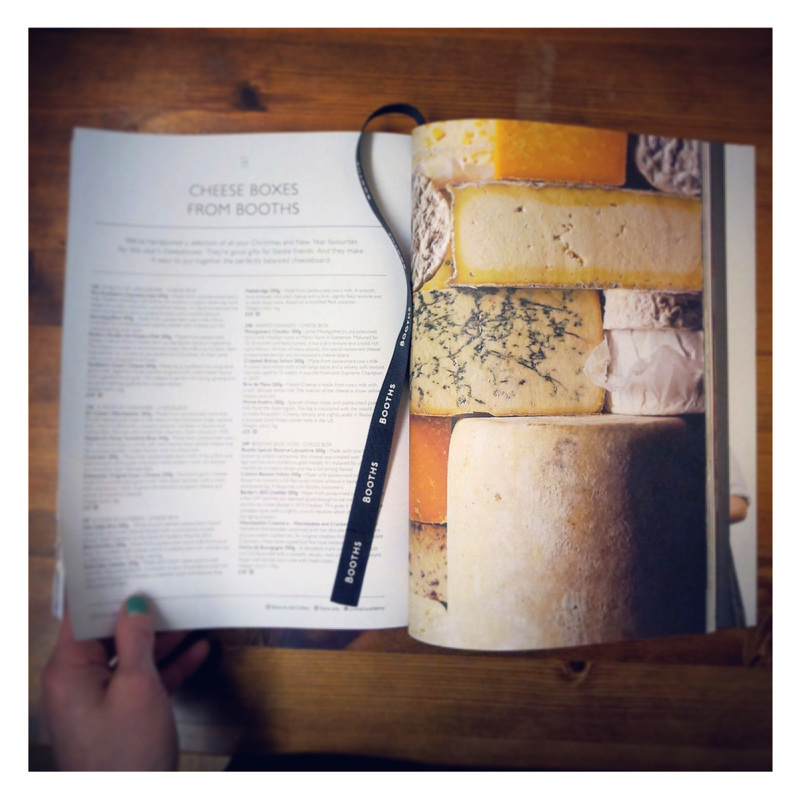 This weekend I’m reviewing the photography in the Booths Christmas food book. The photography in this publication is beautiful and exactly where I want to be heading with my food photography. It’s clean, simple, not over propped and the food looks really honest and tasty. The lighting looks fresh but has a cool winter feel. There is a lovely cheese shot on one of the pages, which fill the page, you get to see all the textures really close up… looks fabulous, makes me hungry. There is a mixture of photographic styles; diners view, overhead, provenance , graphic and lifestyle, yet it works really well together as a collection. It’s also printed on lovely paper and has a ribbon bookmark. Beautiful work.